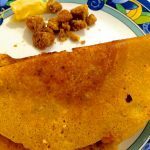 Adai is a healthy South Indian Breakfast dish made with rice and a few varieties of dals/ lentils or millets. The ingredients are soaked and ground to a batter. 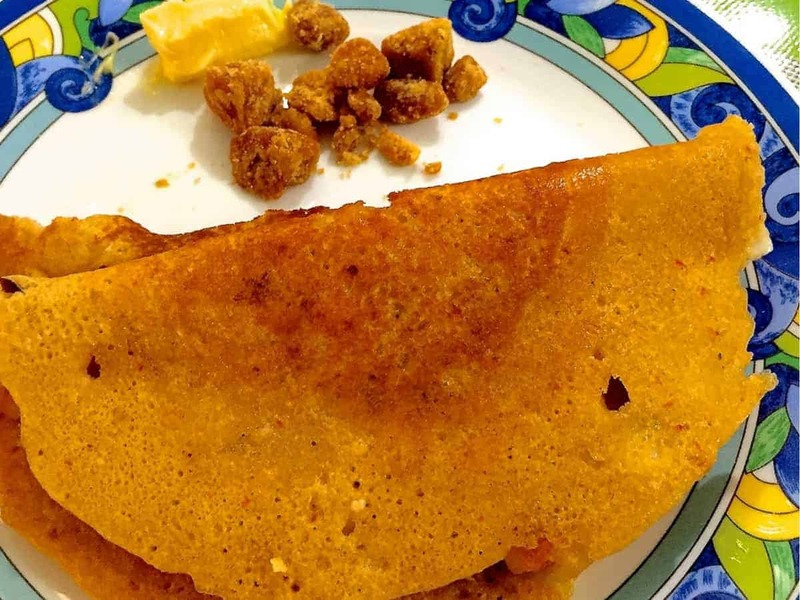 This Millet Adai is a combination of Little Millet (Samai), Foxtail Millet (thinai), Barnyard Millet (kutharavalli). Samai Arisi or Little Millet is the healthy alternative for the regular rice as a meal. Higher in fibre and complex carbs, it is good for managing blood sugar levels. Foxtail millet also called as Thinai in Tamil is also a good source of complex carbs and a substitute for regular, processed rice. The addition of lentils allows the batter to mix well and create a bonding nature to hold the dosa/adai together. Nutritious and highly filling, this Millet Adai is an excellent alternative for a meal and can be served with a variety of chutneys or Sambhar. Healthy breakfast, high in fibre, protein and gluten free. Take a blender and add all the above ingredients and grind them to fine powder. This mix can be stored in an airtight container. When required, take some quantity of this mixture in a bowl, add required salt, water and mix them together. Make a coarse paste and leave it for 10 to 15 minutes. Heat a tawa and grease with oil. Feel free to comment or share your thoughts on this Millet Adai Recipe from Awesome Cuisine.